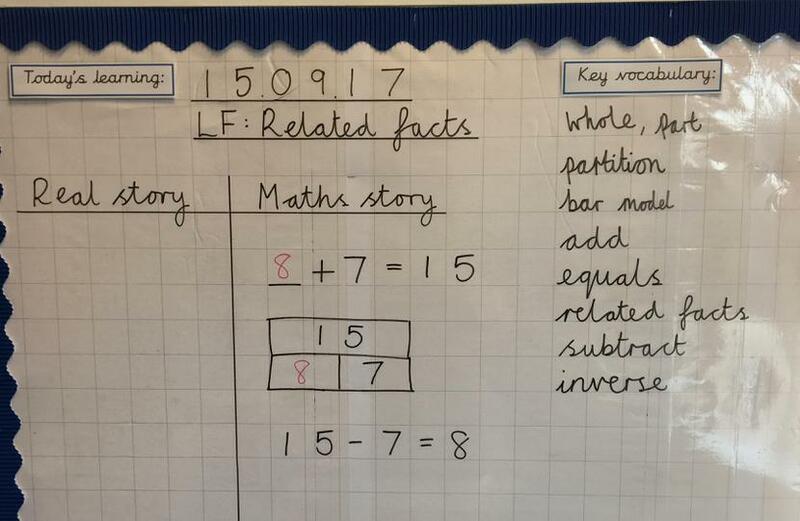 Teaching of mathematics at Our Lady of Lourdes has links with Shanghai/Singapore maths. We are beginning to embed the CPA (concrete, pictoral, abstract) approach to lessons. All concepts are introduced with concrete resources for children to feel and manipulate. As their conceptual understanding develops, they move towards the pictoral and abstract stages. 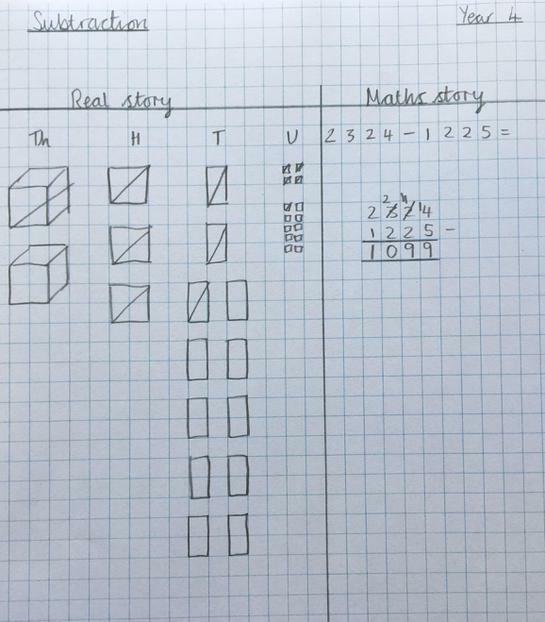 These are recorded in their books as ‘the real story’ and ‘the maths story’. Children are not pushed to move through these stages until they have shown understanding gained by the teacher through skillful assessment. 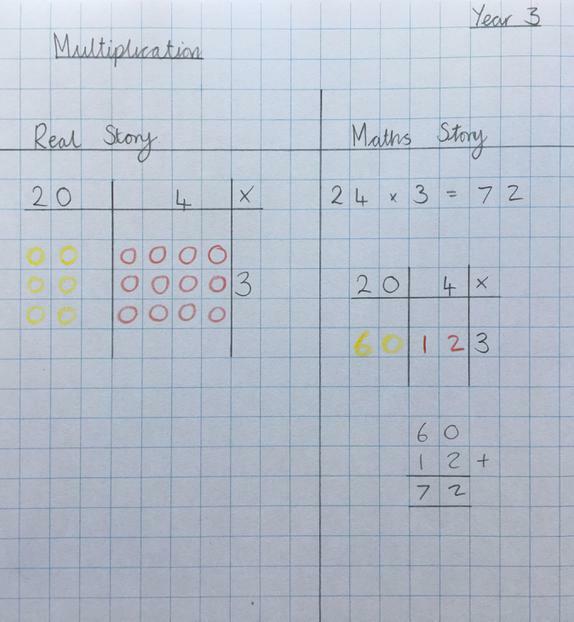 demonstrate a clear model – this is to remain on display throughout the lesson for children to access and refer to and illustrates the steps to success. present challenge and to develop understanding through expert questioning and reasoning opportunities. Mental skills are taught daily. This includes the modelling of mental strategies and time to practise key mental skills. 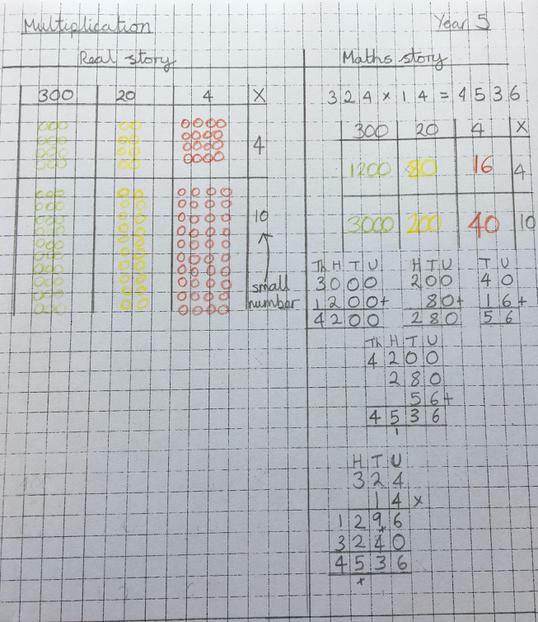 Times table practise happens regularly in school. Children are tested on their timetables each week with the results being sent home so parents/carers can support their practise. 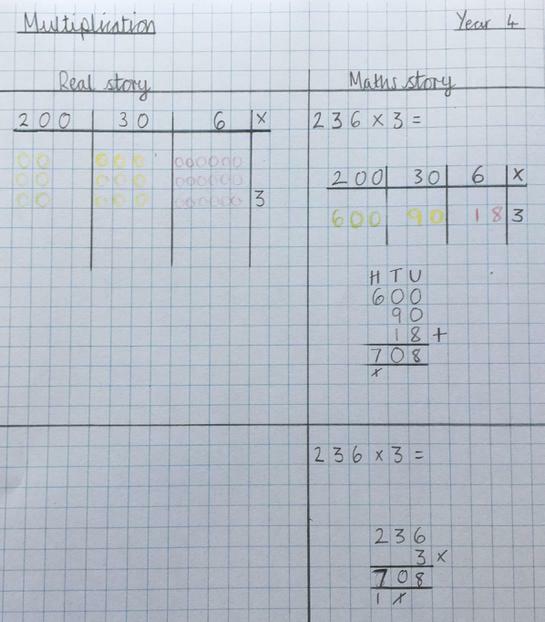 Marking reflects the frequent assessment opportunities created in the lesson to monitor children’s progress. 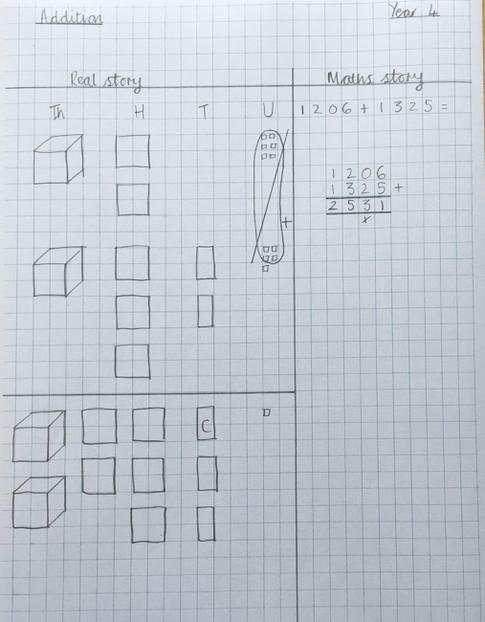 It also shows the end of lesson assessment completed by the child and teacher on their understanding through ’POGed’ and highlighted LFs. Children self-mark their independent work regularly using the answer stations. 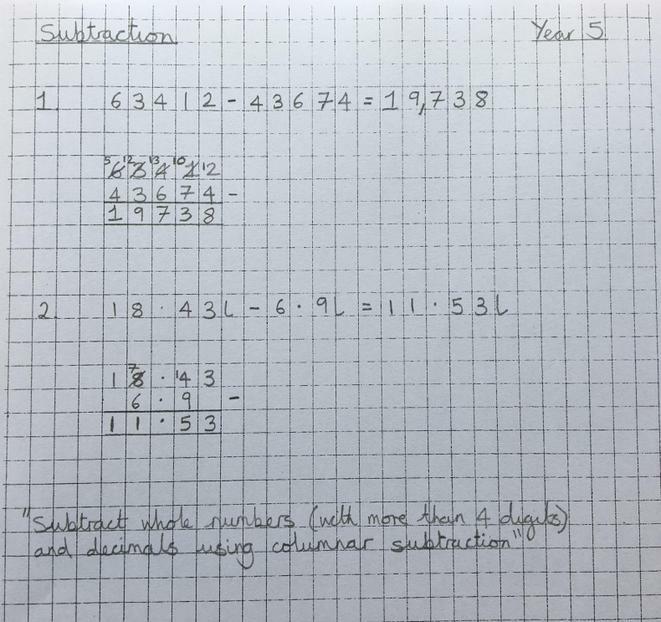 This provides them with instant feedback and allows them to try and self-correct any mistakes in the lesson before continuing. 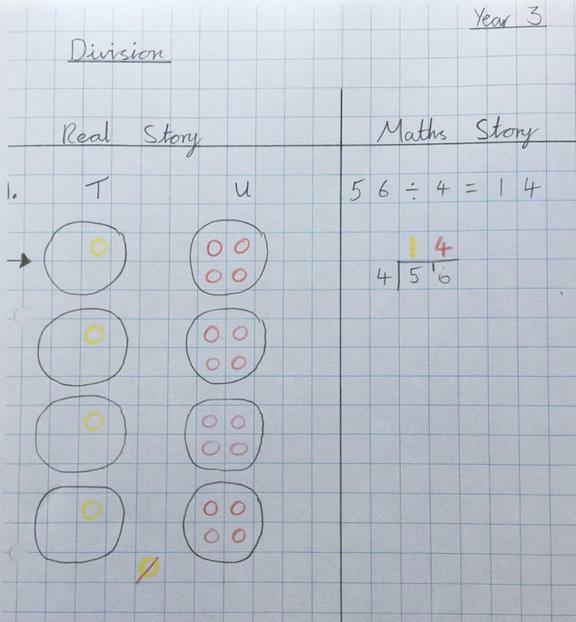 When children need further support with a concept, the teacher will support them 1-1 or in a small group and this evidence may be recorded in books underneath that work. 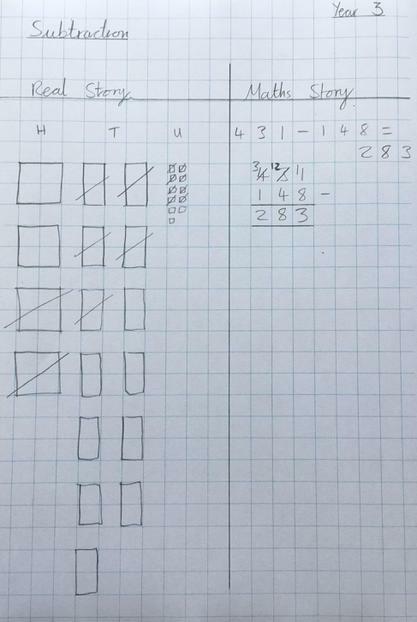 However, if the concept is to be revisited the next day this won’t happen; nonetheless, evidence of the child’s gains in understanding will be recorded. 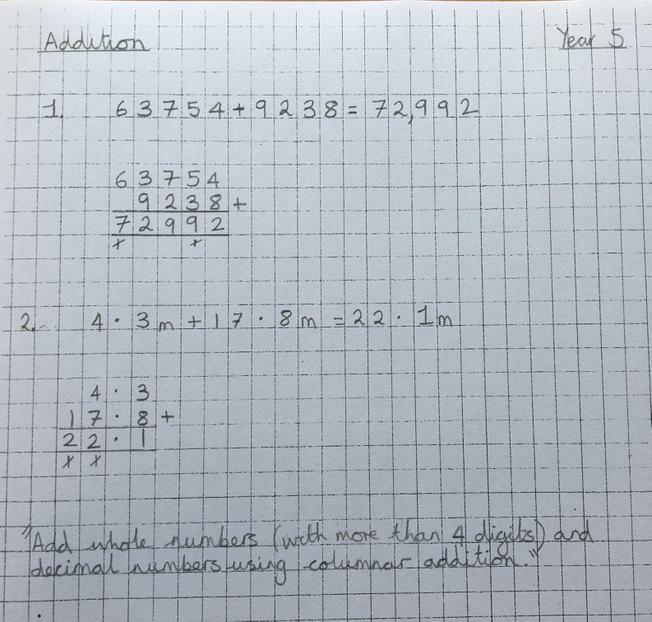 Marking by the teacher diagnoses errors, and sets further questions to address a misconception if appropriate. 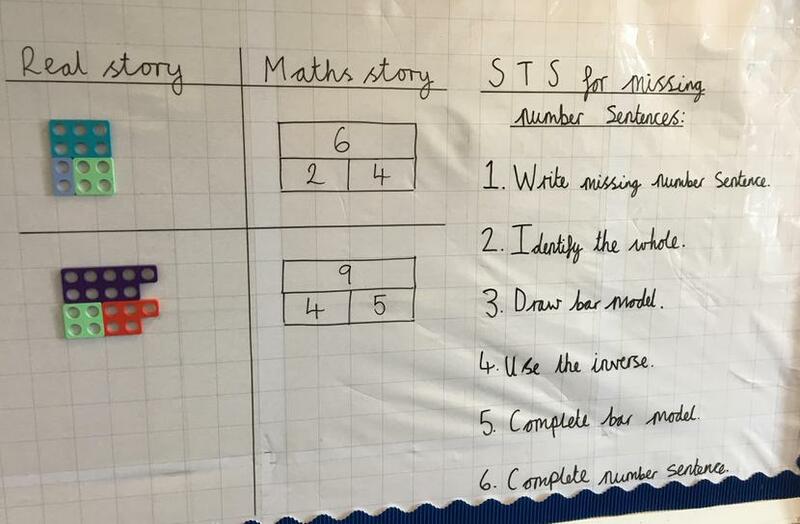 These display are pivotal in recording the learning journey throughout each unit, they are created with the children during the lessons so are relevant and purposeful. In addition to this, models and steps to success may be displayed on squared flipchart paper for reference. 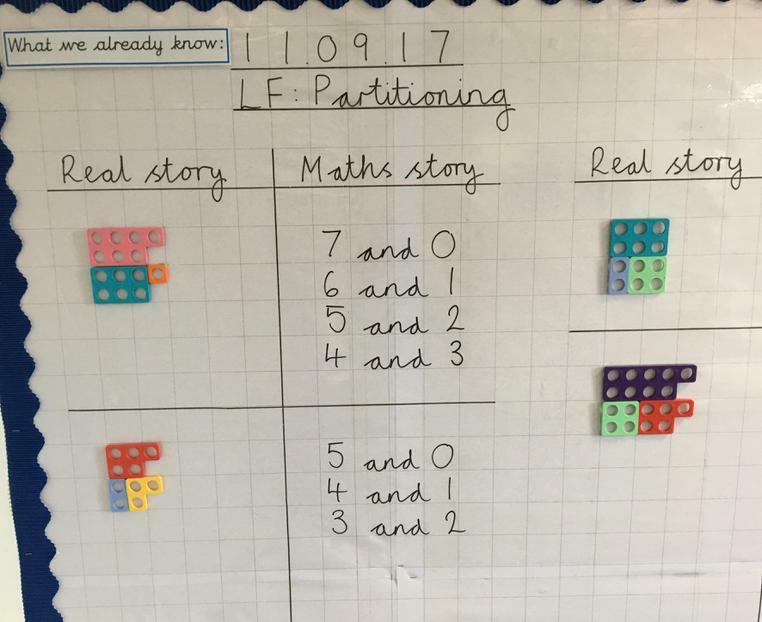 Teachers assess children’s understanding at the start of each unit to inform their planning and at the end of each unit to aid their understanding of the children’s attainment. 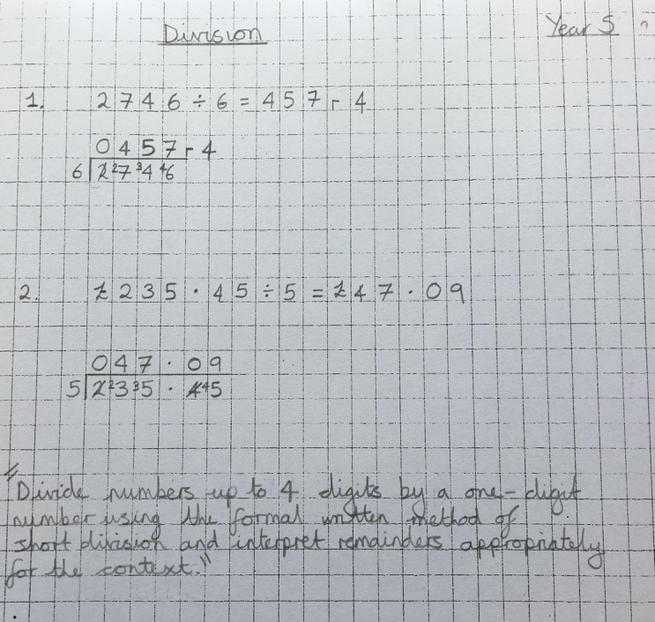 This assessment provides opportunities for children to demonstrate their understanding at different levels: calculating, applying and understanding. 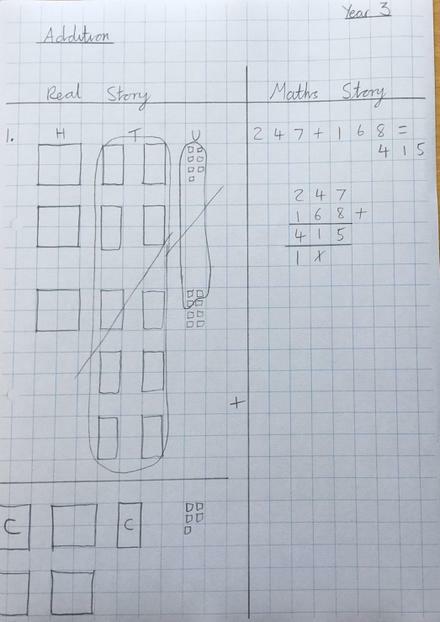 Teachers also assess children’s understanding in a test scenario using the NfER assessments three times per year. This is analysed by the subject leader so weaknesses can be addressed within lessons. 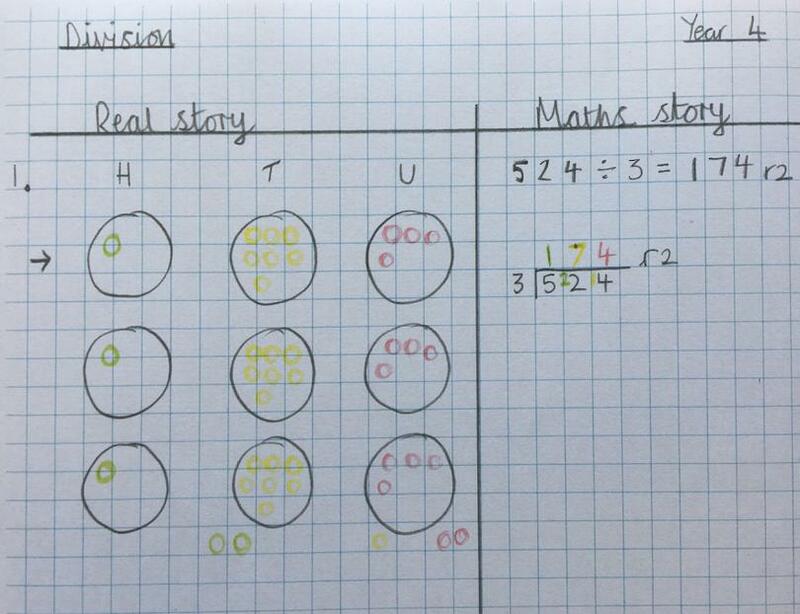 This will also provide a grade for internal tracking of children’s progress. 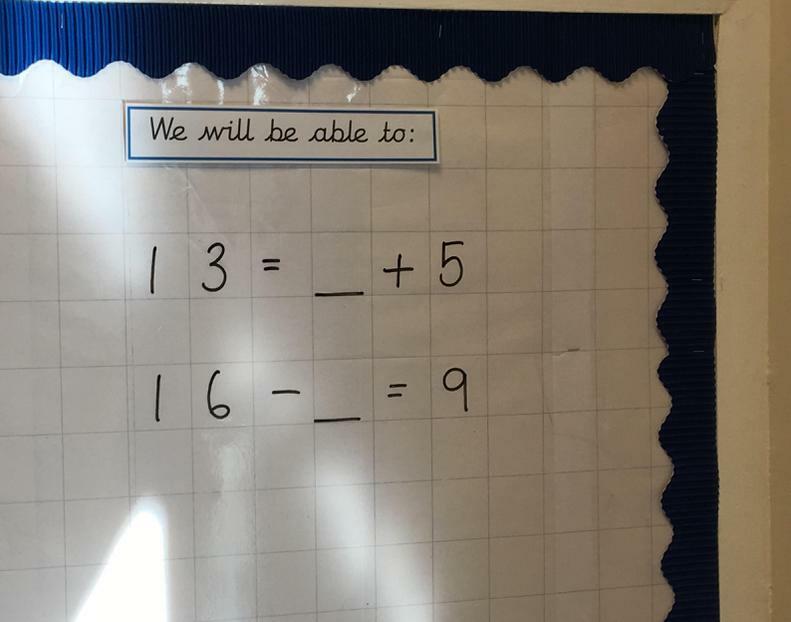 As well as these resources, children are also used to using a range of other resources to support their learning across the whole of the mathematics curriculum.